Julie Anne McGuinness-Nikota is a full-time published Professional Photographer and Makeup Artist with a home photography studio located in Brantford, Ontario. Her work is well known by those that have worked with her as professional, organized, reliable and friendly. 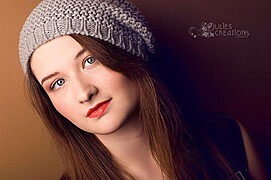 Julie's services are for modeling portfolios, headshots, and families (Julie does not provide wedding services). Julie is really passionate about creating artistic photos and always looks forward to the chance of making something new and beautiful. She mainly shoots beauty/creative/headshots. She likes having fun during a photo shoot, but is also very professional. Her rates are affordable and she works with both aspiring as well as professional models in the industry. She is well organized, reliable and good with direction. She is also open to TF shoots if the model/concept is something that would add value and strengthen her portfolio. 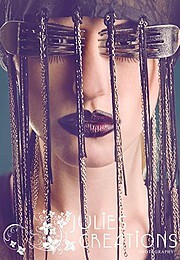 Julie also offers makeup services for Photo Shoots, Video, Film, Runway Shows, and Special Occasions.